Kids love things dirty and stinky and yucky and mucky. Think of mudpies, puddle jumping, food fights. (Now that I think of it, many adults like such messy moments.) We are sure that the new Amazon Original Kids Series, The Stinky & Dirty Show, premiering on September 2, is going to be a five-star winner, even if mudpies, puddle jumping and food fights are reserved for the older folks. Based on the popular I Stink! 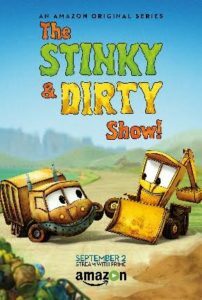 books by Kate & Jim McMullan, garbage truck Stinky (voiced by Jaden Betts) and backhoe loader Dirty (voiced by Jacob Guenther) are a dynamic and hilarious duo who use critical thinking, creativity and resourcefulness to help their other best friends and the town of Go City. There’s no problem too big for the best friends; when things don’t go as expected, they know asking “what if” can lead to success. Stinky & Dirty teach our kids values that they should be learning at an early age. They will learn to never give up, and this is reinforced by negotiation and social problem solving. 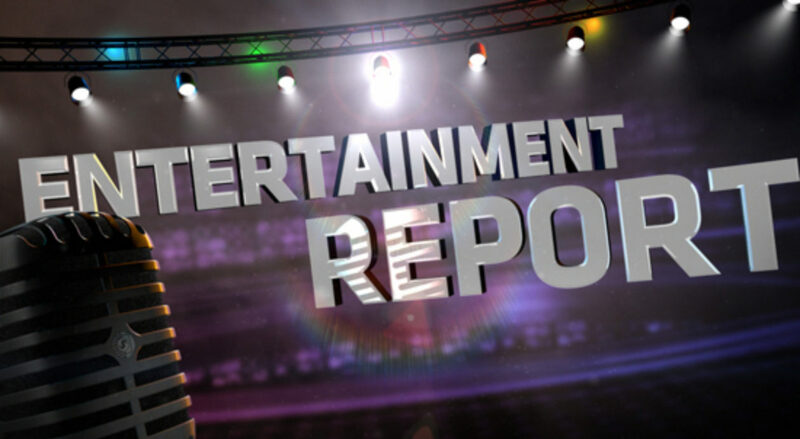 The series features original music from Dan Bern and celebrity voice talent, including Whoopi Goldberg, Jane Lynch, Andy Richter, Joan Cusack and Wallace Shawn. The pilot episode, rated 4.8 stars by customers with 86% 5-star reviews, is available to stream and download now, with nine additional episodes to debut next month, exclusively for Prime members via the Amazon Video app for TVs, connected devices including Fire TV, mobile devices and online—Prime members can also download the series to mobile devices for offline viewing. The first season of The Stinky & Dirty Show will be available for Prime members to stream and enjoy using the Amazon Video app for TVs, connected devices including Amazon Fire TV, and mobile devices, or online at Amazon.com/originals, at no additional cost to their membership. Customers who are not already a Prime member can sign up for a free trial at www.amazon.com/prime. For a list of all Amazon Video compatible devices, visit www.amazon.com/howtostream. The Stinky & Dirty Show will also be available as part of Amazon FreeTime Unlimited, the all-you-can-eat subscription service designed from the ground up for kids. FreeTime Unlimited is available exclusively on Amazon devices including Amazon Fire TV and Fire tablets, and a year-long subscription is included with every Fire Kids Edition. Have the Time of Your Life with "The Red Skelton Show in Color," not seen for more than 50 years!